Emilio Pucci was an Italian designer, born into nobility in 1914. He excelled at everything he turned his hand to including sports, political science and agriculture. 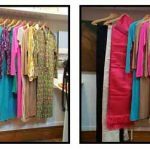 He originally designed a collection of scarves in bold colours and graphics after which he was advised to try the designs on blouses and dresses. 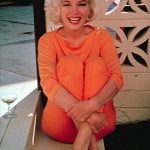 The dress collection was such a hit Pucci became known as the Prince of Prints and, along with Marilyn, was favoured by the likes of Audrey Hepburn, Gina Lollobrigida and Sophia Loren. 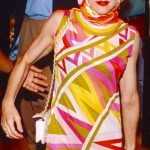 His fanbase extended to the 1980’s with Madonna and even more recently, with Jennifer Lopez. 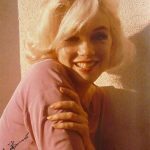 The most recognisable of Marilyn’s Pucci designs are those used for a photoshoot she did mere weeks before her death, with George Barris. 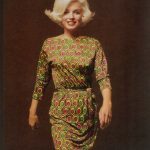 When leaving the Polyclinic Hospital, NY, Marilyn was pictured wearing a tan coloured Pucci dress. 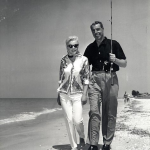 Whilst walking on the beach in Florida with Joe DiMaggio in 1961 Marilyn wore a Pucci blouse. 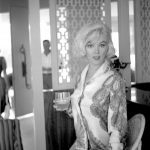 During a trip to Mexico in 1962 she held a press conference in a mint green Pucci dress. 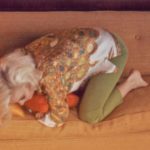 In 1999 Christies Auction House arranged all of Marilyn’s Pucci designs together in a beautiful, colourful display. 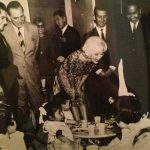 The only dress missing was the mint green dress she wore for her Mexican press conference, as this was the one that she was interred in. 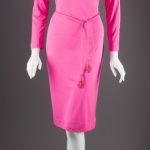 Newbridge Silverware own a fuscia pink Pucci dress once owned by Marilyn and have it on permanent display in their Museum of Style Icons in County Kildare, Ireland. 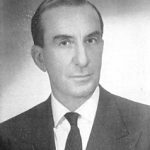 Emilio Pucci died on 29th November 1992 in Florence, Italy.